You know the saying, “If it’s not broke, don’t fix it.” And we agree. 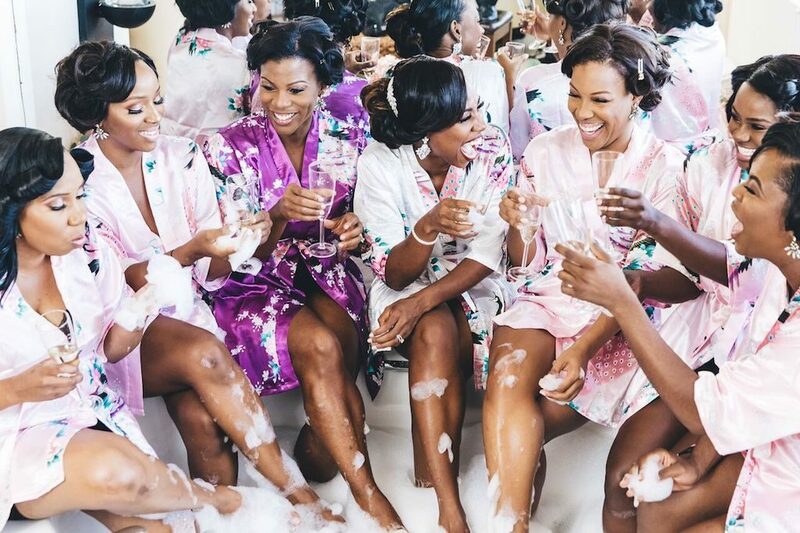 An essential part of the wedding planning paradise is indulging in the cultural phenomenon, much like the famous bachelorette party. A time to spend both reflecting and revving up for the festivities ahead, we’ve all seen what the quintessential party looks like, and it’s usually donning Mardi Gras-inspired accessories. Don’t get stuck in one box. 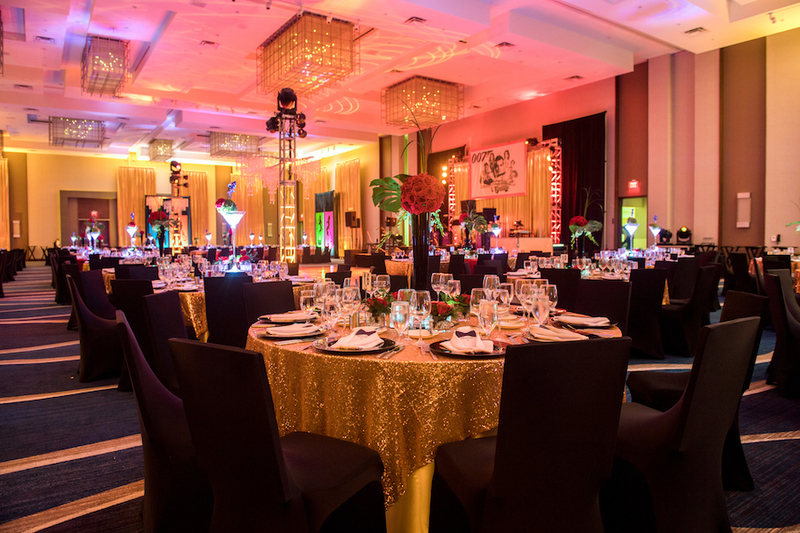 Get creative this year and add a breath of life – literally – into your bachelorette bash! Today, we’re highlighting three floral twists that will modernize (and beautify) the bachelorette parties we’ve come to know. Tank tops plastered with “bridal squad,” are everywhere. 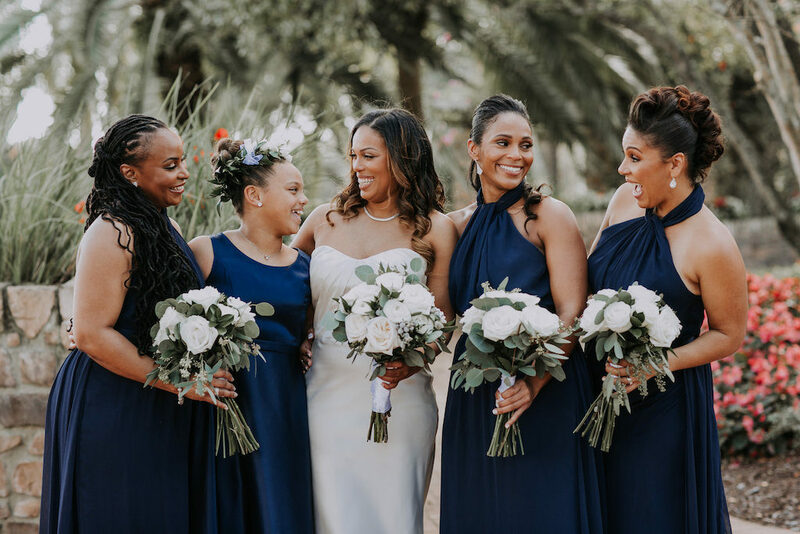 Break the mold with a new kind of matching ensemble, allowing each bridesmaid’s personality to shimmer. 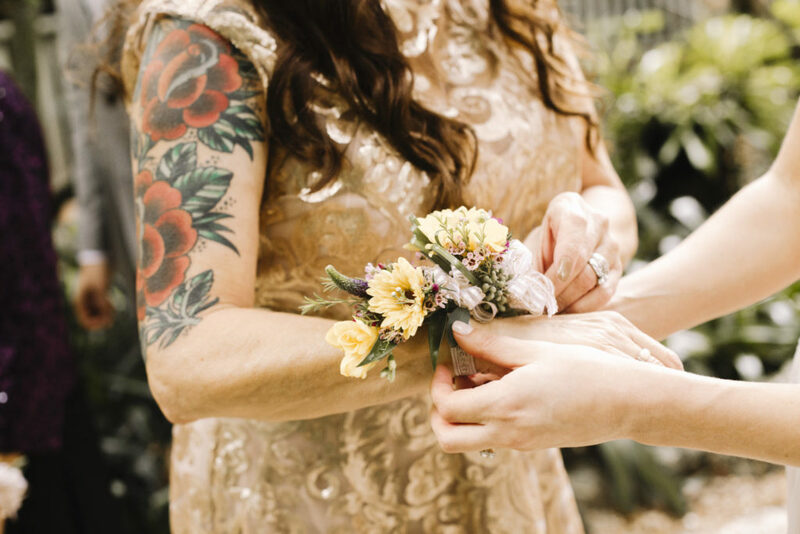 Create a modern corsage by wrapping florals and organic greenery around wire bent like bracelets. Some of our favorite to include are eucalyptus, lavender, thistle, and baby’s breath. 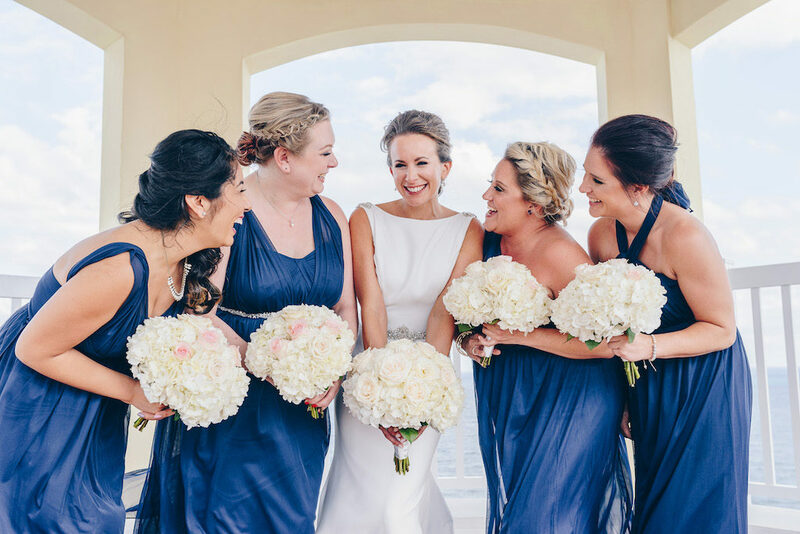 Flower Crowns are another chic way to bring together your bridal party. Voluminous peonies, roses, and hydrangeas call to mind romance, keeping your festival-like festivities in line with the festivities to follow. Veils are a popular party store find akin to a birthday crown. 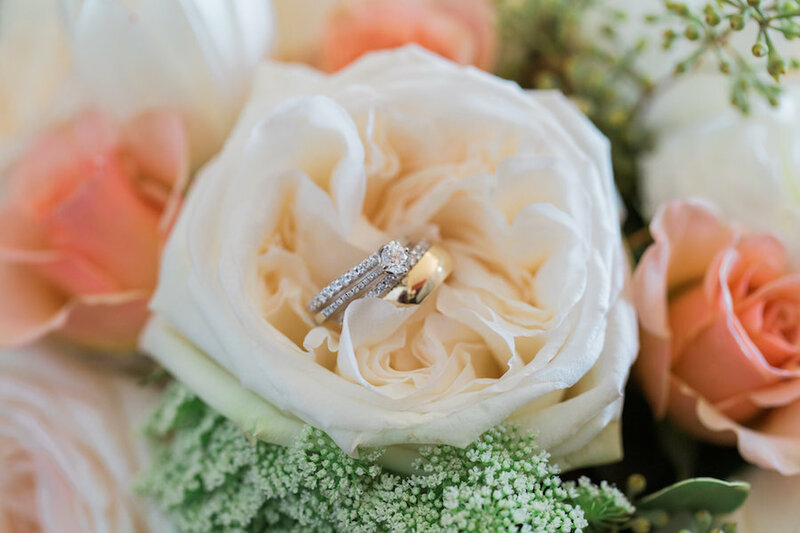 Keep the option for attracting glares open for low-key brides while preserving the magical moment of entry with a bridal bouquet instead. 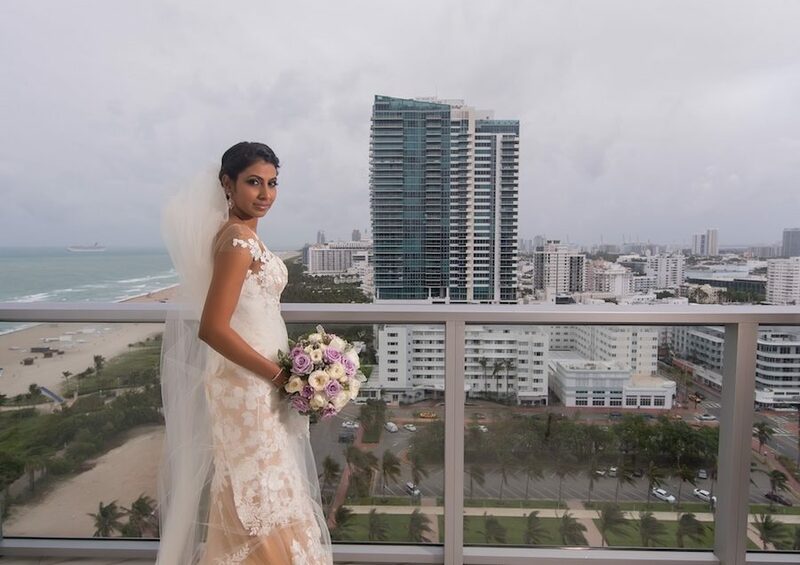 You deserve the best during your wedding weekend- including the best camera angles. Tie voluminous blooms together in streams of garland, or use oasis as the base of your background board and cover every square inch. Create the wall the morning of, or create your very own Craft and Sip and have your wedding party get in on the fun! 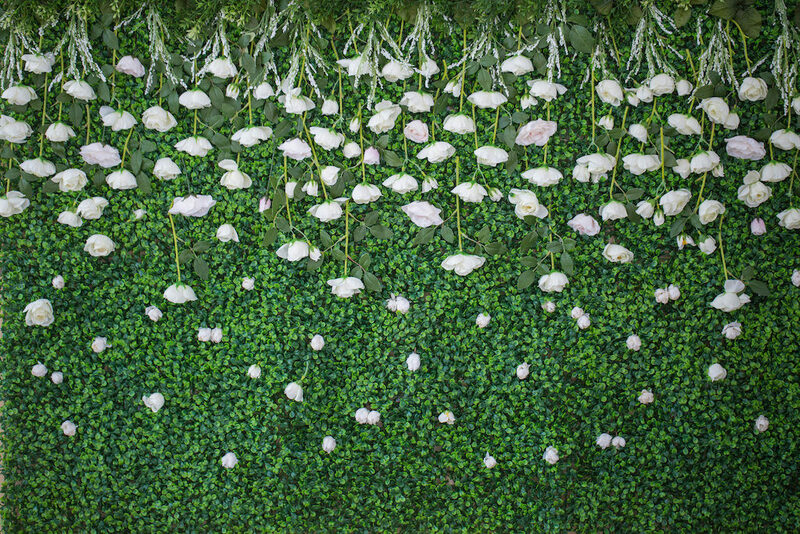 A floral wall is sure to impress, and (bonus!) becomes its own design element too.